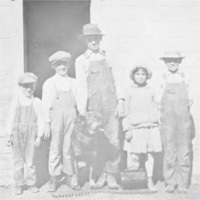 Since the 1970s, the Northeastern Nevada Historical Society Quarterly, published by the Northeastern Nevada Museum in Elko, Nevada, has featured articles about the local Basque communities of the Great Basin area. Below are a sampling of these articles from over the years. Many of these articles were written by members of the local Basque community. A number were written by students while enrolled at Great Basin College; those articles are identified with the GBC logo. 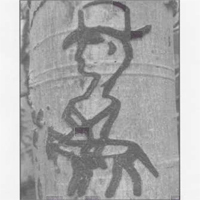 A summary of Basque tree-carvings in the northeastern Nevada area, based on Richard Lane's investigations in 1969-1970 for his dissertation research. Lane was a graduate student in the Department of Anthropology at Yale University at the time. The article contains a number of photographs of typical types of Basque tree carvings. 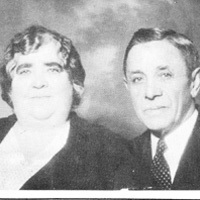 A history of the Overland Hotel in Elko, Nevada, USA, under original owners Domingo (Dan) and Gregoria Sabala from 1908 until 1938. The second largest of the Basque-owned hotels in town, the Overland served as a hostel for new Basque immigrants and one of the centers of the Elko Basque community. Kimberly Errecart's personal biography of her father, Basque immigrant and long-time Elko resident Jack Errecart. 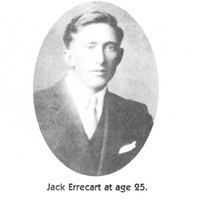 After spending over a decade sheep-herding, Mr. Errecart became an entrepreneur, owning at various times over the years the Palace Bar, the Silver Dollar Club, and the Clifton Bar and Hotel in Elko, Nevada, USA. A selection of letters from San Franciscan Theodore "Teddy" Dierks to Ramon Lugea from 1940 through 1956. 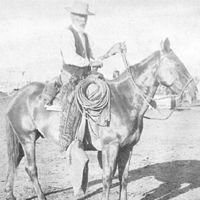 Dierks as a young man had been encouraged by Jules Altube of the Spanish Ranch to stay in Tuscarora in 1902 as a treatment for Dierks' tuberculosis. Dierks struck up a friendship with Ramon Lugea, a Basque immigrant on the ranch, which was renewed through this exchange of letters starting around 1940. Compiled by Edna B. Patterson. 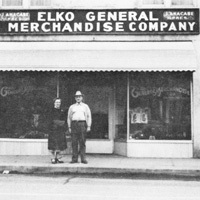 "Anacabe's Store: The First Fifty Years"
The Elko General Merchandise Company, known locally as Anacabe's Store, has been an Elko, Nevada institution for almost 80 years. Operating out of the same location on Idaho Street, the store is a testament both to the Anacabe family and the Basque traditions of multi-generational community. "Memories of Jack Creek, 1925-1935"
Mary B. Urriola Smith lived at Jack Creek Ranch as a young girl from 1925 until 1935, during the period in which her parents Ysidro and Esperanza Urriola leased the ranch. Her childhood memories recount the characters of the day-to-day life on the rural sheep ranch. An history and analysis of the life of Basque sheepherders from the 1850s into the mid-20th century. 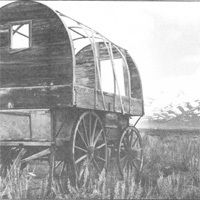 Particular emphasis is placed on the experience of those in Elko County, Nevada, in the 20th century as recounted in personal interviews with former Basque sheepherders in the Elko area. 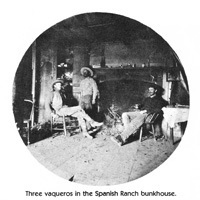 "Basque Ranching Culture in the Great Basin"
Mike Laughlin traces the history of the Basque ranching culture in the Great Basin area, from early work on the first cattle ranches in the 1870s through the heyday of sheep-herding to the celebration of this ranching tradition in the modern National Basque Festivals.